If you are part of a commercial property in Mountain Village, it is mandatory that you recycle the required materials and have an adequately-sized trash enclosure to serve all of your residents and guests. Commercial properties include the ski resort, hotels/lodges, individual businesses, and homeowner associations with seven units or more. And remember, all shared trash enclosures must be kept tidy and locked at all times to prevent wildlife from entering. Currently two local providers service this area: Waste Management and Bruin Waste Management. You may choose your provider. We can’t stress enough how important it is that you follow our commercial trash and recycling rules and guidelines. We have highlighted some of them for your convenience, which should help alleviate wildlife problems and neighborhood unsightliness while ensuring we recycle more items and send less to the landfills. Review these commercial recycling instructions (also available in Spanish) for a complete list of acceptable and not acceptable recyclables and recycling best practice tips. 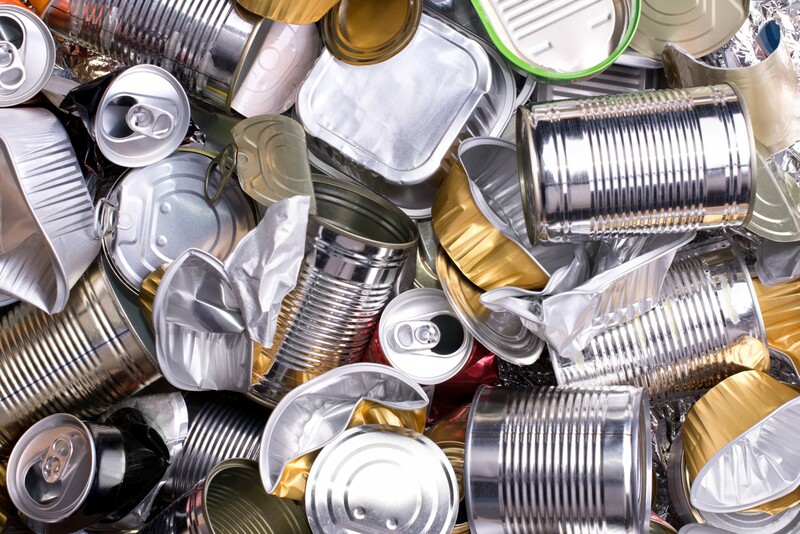 Recycle all aluminum, glass, plastic 1-7, paper and cardboard. HOAs must have adequately-sized trash/recycling enclosures to accommodate all tenants. All trash enclosures must keep trash hidden from public view and kept clean and orderly at all times. All trash enclosures must be closed, wildlife-resistant and adequately latched at all times to prevent wildlife from entering. All trash and recycle containers inside the enclosure must be wildlife-resistant. Enclosures must have adequately-sized containers for trash and recycling to prevent overflow. Hazardous materials are not allowed to be stored inside the trash enclosures and must be disposed of properly, including fluorescent lights, batteries, paints and oils. Construction waste must not be disposed of in trash containers. Restaurant grease and fryer oils cannot be thrown in trash and must be disposed of properly and in a timely manner. We have adopted a Zero Waste ordinance that requires you to recycle. When placing acceptable recyclables in your single-stream recycle container, you may commingle all paper, cardboard, metals, glass and plastics 1-7. Remove all caps and lids and place in recycle bin. Remove labels from bottles and tin, if possible. All non-recyclable packing materials, such as peanuts and foam, must be removed from boxes. Place all items in the container with the recycle symbol on it. If you are a Waste Management customer, keep all fibrous materials, such as cardboard, pressboard and mixed paper, together to the side of the commingled items. Bruin Waste customers may commingle all recycled items. Excess fats, oils and grease (FOG) task our sewage collection and treatment system. In addition, FOG creates a hazard for wastewater operators and increases the risk of a sewer backup in homes. Please follow these few simple rules to help keep your sewage running efficiently, decrease the risk of a sewer back up and overflow, and give operators a safer place to work. Thank you. And for a complete list of FOG haulers and recyclers in this region take a look at our FOG brochure. † Wipe grease from pots, pans and dishware with a paper towel prior to dishwashing. † When you have liquid waste cooking oil, soak up the oil using a paper towel or newspaper and place the towel or newspaper in the trash. For household and office electronics and hazardous wastes including paints, oils, solvents, batteries, etc., regional events are held twice annually in May and October, and include a nominal fee; household hazardous wastes are typically collected at the May spring cleanup. Details of the local community cleanups can be found either on San Miguel County’s website or EcoAction Partners’ website. The Electronic Recycling Jobs Act went into effect July 1, 2013, and it prohibits the disposal of waste electronic devices (e-waste). E-waste includes televisions, computer monitors, printers, fax machines, among other devices. The most environmentally responsible option is recycling these types of items through a community collection event. For a complete list of devices and additional information you will want to review the Electronic Waste Disposal Ban information sheet. Electronic items other than televisions and computer monitors may be taken to local salvage shops where you may receive money back for these items. Two companies on the Western Slop include Recla Metals in Montrose and Belt Salvage in Cortez.